As authorities in Ohio released body-camera video footage Wednesday showing a University of Cincinnati police officer fatally shooting a black motorist following a routine traffic stop, Mark O’Mara, a veteran criminal defense attorney, stepped forward to represent the interests of the deceased man’s family. If O’Mara’s name sounds familiar, it's because he is the former attorney of George Zimmerman, the Florida man acquitted of murder and manslaughter charges in the 2012 shooting death of Trayvon Martin. The family of Samuel DuBose reached out last week to O'Mara for help as officials investigated the circumstances surrounding the shooting, the Cincinnati Enquirer reported. Authorities said DuBose, 43, was unarmed when Officer Ray Tensing fired at DuBose's vehicle July 19. O’Mara said he wanted to help the family express their wish that the community of Cincinnati, which as a history of civil unrest over police brutality incidents, remained calm during its response to developments in the case. “Sam was a peaceful person,” O’Mara said after the Hamilton County Prosecutor’s Office announced Tensing’s grand jury indictment on murder and voluntary manslaughter charges. As he reiterated the family’s call for “peaceful and nonaggressive” response, O'Mara also thanked Hamilton County Prosecutor Joseph Deters for what O'Mara said was Deters' quick action in convening the jury and making the shooting video public. 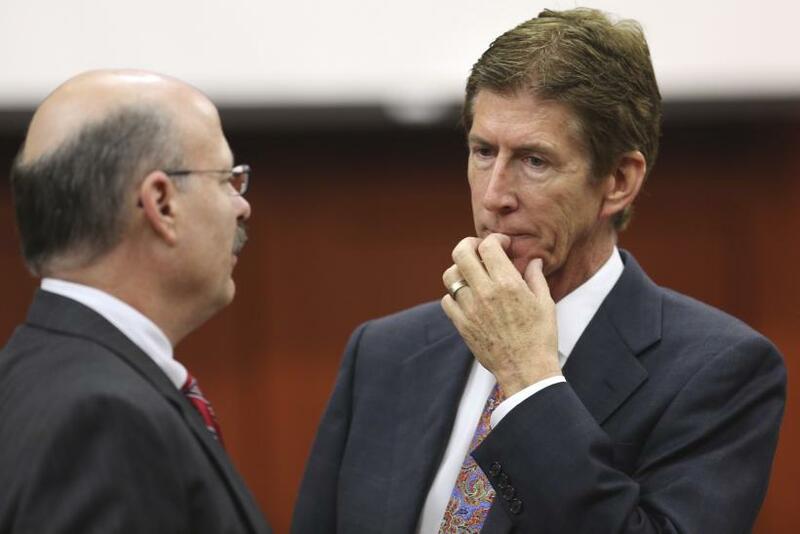 As the principal attorney of Mark O’Mara Law Group in Orlando, Florida, O’Mara rose to national prominence in 2013 as Zimmerman’s trial attorney and has since become an on-air legal analyst for CNN. He has frequently been asked to comment on issues of race and the criminal justice system. O'Mara said he agreed to work for the DuBose family out of concern for how authorities initially released information in the case, which he said has “got to be balanced with the family’s right to know,” the Enquirer reported. Members of DuBose’s family said they believed that video footage from the officer's body-worn camera -- which appeared to show that Tensing didn’t exercise restraint before shooting the unarmed man -- would vindicate their loved one. DuBose’s mother and sister stood with O’Mara during a Wednesday news conference.